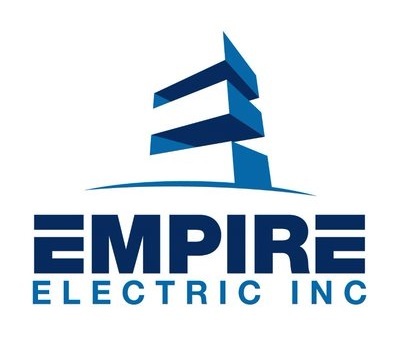 FAQ - Empire Electric Inc. Yes, we are. As a State Certified Master Electrician, we are licensed to work anywhere in the state of Florida. If a permit is required, Empire Electric will make application for the permit. Some municipalities allow homeowners to do minor electrical repairs and installations if they first secure a permit and have the work inspected when complete. If you have someone requesting you pull a permit for them to do the work, you should not allow that person to perform any operations as they are likely not licensed or qualified. The electrician or estimator will do a thorough preliminary inspection and provide you with a firm, accurate estimate of the work involved. In the instance of a repair with unknown circumstances like hidden damage, all attempts will be made to perform a not to exceed repair amount. Although operating perfectly fine, some insurance companies are requiring certain panel types to be replaced. These panels may have many useful safe years of life left but the decisions are being left to the homeowners or business owners to possibly risk losing insurance. The most notorius panel for this is a Federal Pacific Panel also known as FPE and sometimes incorrectly called a stablok panel. IS MY JOB TOO SMALL, IS MY JOB TOO LARGE? No, not at all. With the vast knowledge, experience, support, manpower and tools, Empire Electric can manage any size job from the smallest to the largest. I AM A PROPERTY MANAGER FROM OUT OF STATE. I HAVE COMMERCIAL AND RESIDENTIAL PROPERTIES, CAN YOU HELP ME WITH THAT? Of course, from the time you submit a work order or service call to completion you can rest assured you will be kept informed of the progress. You will have a comfort level that once you contact us, your problem will be resolved. CAN YOU PROVIDE REFERENCES FROM OTHER CUSTOMERS, BUSINESS OWNERS, HOMEOWNERS? Every tradesperson or electrician is only as good as his or her reputation. You can request references from us.